Shepherd Offshore has a long history of regenerating and redeveloping a wide range of residential properties in the North East and Scotland, including La Sagesse in Jesmond and planning for over 400 residential units in Halbeath. Since the 1990s, we have continued to purchase and develop a variety of residential properties for the rental market. These have been high-quality and strategically positioned properties, with accessible links to public transport. 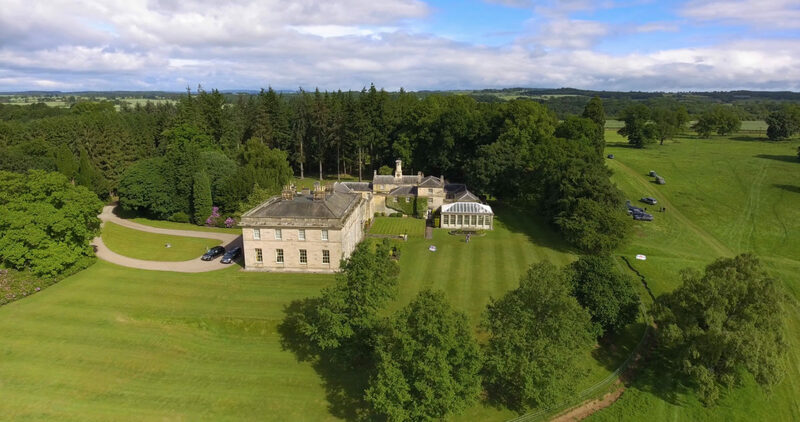 Located in Morpeth, Northumberland, Mitford Estate is home to Mitford Hall, one of the first private residences designed by John Dobson. Mitford Hall overlooks open parkland of mature, mixed woodlands, formal gardens, Mitford Castle and the river Wansbeck. It was built in 1828 and comprises 5,000 acres of rural real estate, which includes 50 houses and seven farms. In 1993, Shepherd Offshore purchased the estate from the Mitford family and begun a large-scale programme of restoration and modernisation to the Hall and external facilities. To ensure we can maintain the highest sustainable standards while retaining the Estate’s unique historic characteristics, we work closely with organisations such as Royal Horticultural Society, Natural England and English Heritage, the latter of which we have partnered with to restore and preserve the Mitford Castle ruins. Click here to find out more about Mitford Estate’s history. Halbeath Interchange near Dunfermline, Scotland, is a 150 acre former manufacturing site that was fully developed, but never operational. Shepherd Offshore is responsible for a multi-phase and ongoing remediation and redevelopment project. The project completion will involve multiple developments, including a residential area. So far, 418 residential units have been built, which include a mixture of affordable housing and retail spaces. Click here to find out more about the development and here for our current facilities. La Sagesse, a Victorian Gothic mansion in in Jesmond, Newcastle upon Tyne and adjacent to the woodlands of Jesmond Dene, was formerly La Sagesse Convent School, operating from 1912 until 2008. A year later, Shepherd Offshore obtained the 26,000 sq. m. site of the former school and the associated 10-acre grounds and restored the Grade II* listed building. 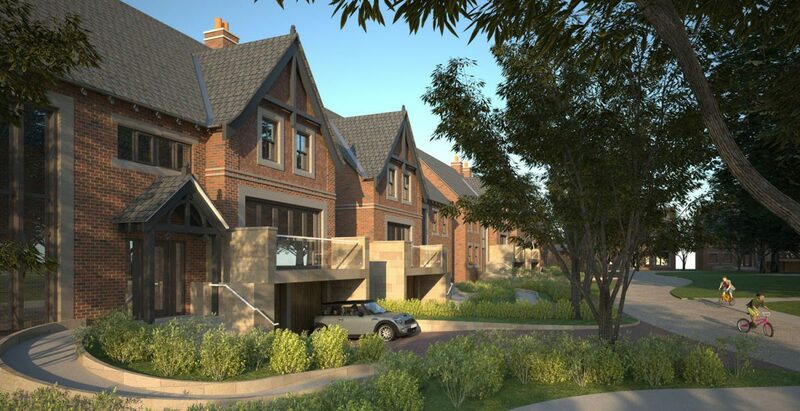 In 2013 La Sagesse was sold to David Wilson Homes of the Barratt Group with planning for the development of luxury residential property for sale, later becoming the first development site in the North East to win a Built for Life Award for design excellence. Click here to find out more about the site. Following the acquisition of ‘The Covers’ in Wallsend- the former Northern Electric site- Shepherd Offshore, Shepherd Offshore collaborated with Bellway Homes in a two-phase development strategy to create 127 new homes between 2010 and 2013. In 2016, Shepherd Offshore purchased the former site of the Newcastle School for Girls in Jesmond. Plans are in development to transform the building in to a care home that will provide security and comfort to its future residents. Currently ongoing, this project involves the design and construction of residential developments in Craster. This charming village is situated on the Northumbrian coast and great care is being taken to ensure that the developments respect the local area and its historic heritage.